This application for SharePoint 2013 and SharePoint Online allows a user to add a new App Part called a Document Library Listing. 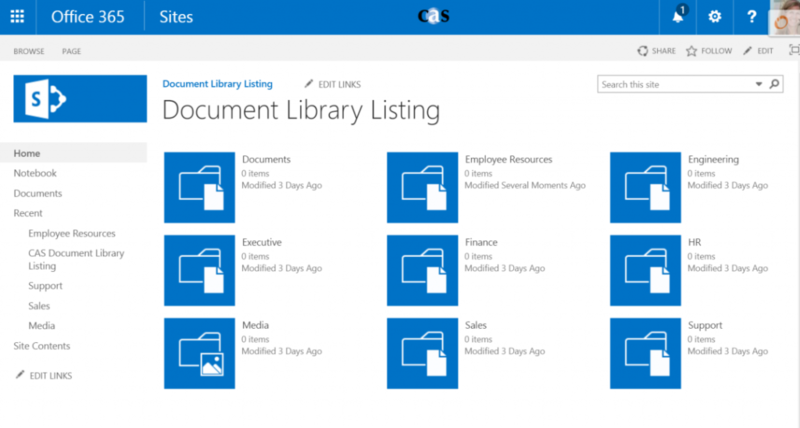 The Document Library Listing App Part will show a listing of Document and Image & Media library types on that SharePoint site in a tile format. The Image & Media Libraries can be toggled on and off in the App Settings. The App Part can be added to any page on a SharePoint site.